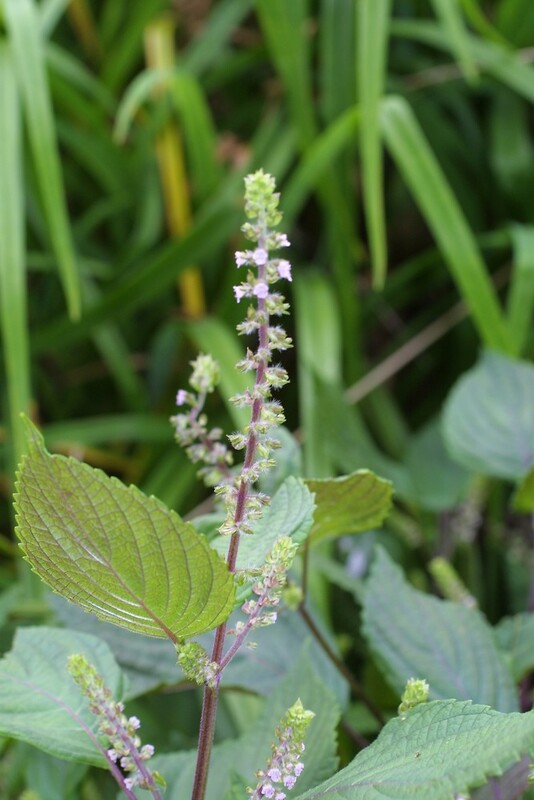 Perilla-mint has been cultivated since ancient times, but probably originates in the Himalayas, and the mountainous regions of China. 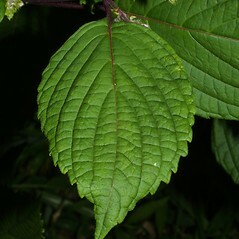 It is grown as an ornamental in modern times, but has important traditional uses. There are two varieties, both present as escaped individuals in New England. 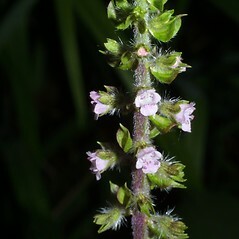 One (Perilla frutescens var. 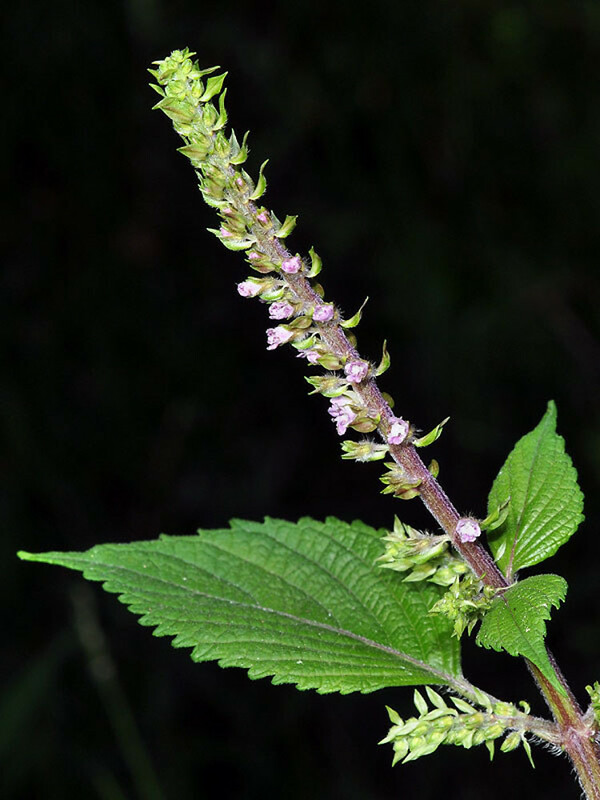 frutescens), also known as wild sesame, is the source of perilla oil, used in Korean cuisine, and as a substitute for linseed oil in wood-finishing products. 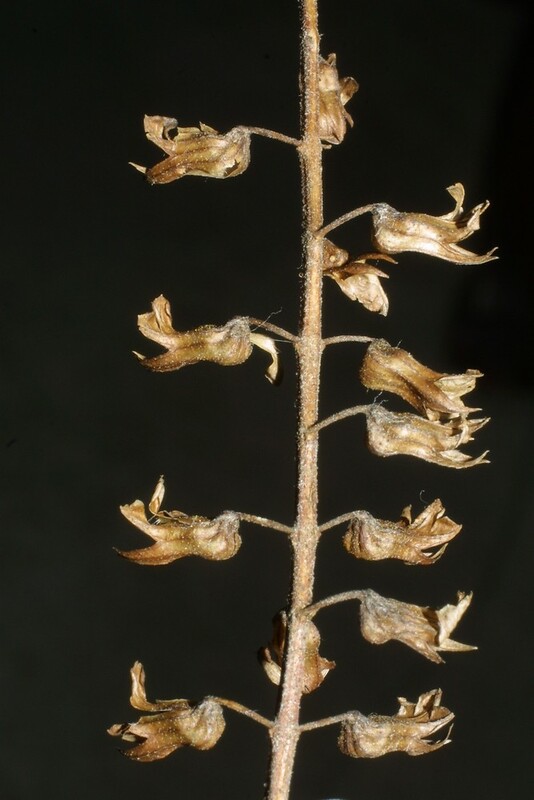 The other (P. frutescens var. 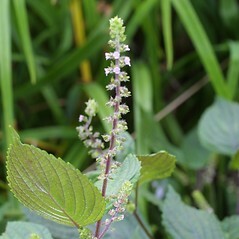 crispa), also known as shiso, is cultivated as a culinary herb, especially important in Japanese cuisine, but also used elsewhere in Asian cooking. 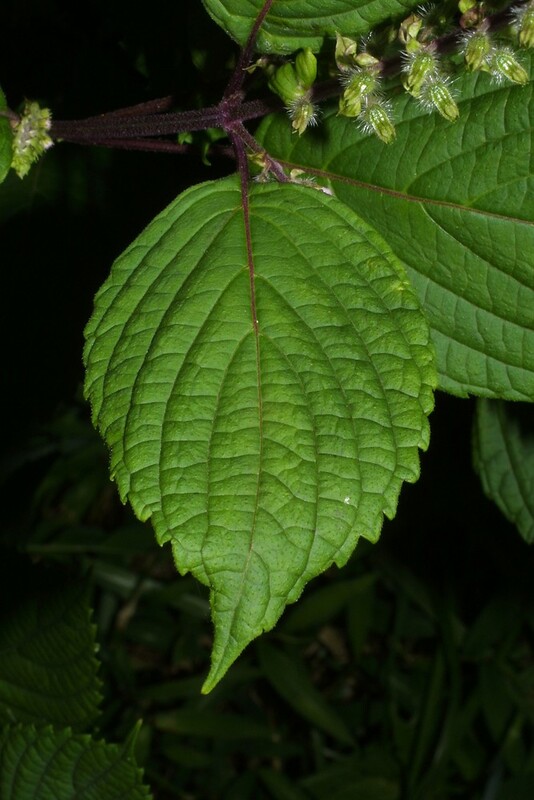 The first variety is more widely naturalized in North America, while the second is somewhat more frequently encountered in New England. 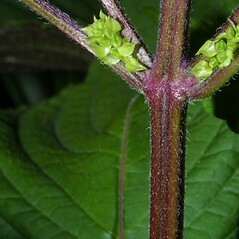 each node of the inflorescence with 4 or more flowers and upper calyx lobe suborbicular, with winged margins that are decurrent on the calyx tube (vs. P. frutescens, with each node of the inflorescence with 2 flowers and upper calyx lobes broad-triangular, not wing-margined). 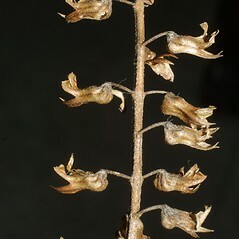 Variety frutescens is known from CT. 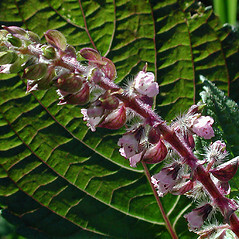 Variety crispa is known from CT, MA, RI. 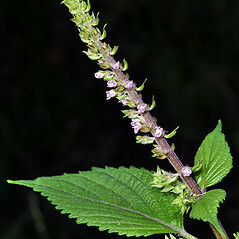 perilla-mint. 1a. 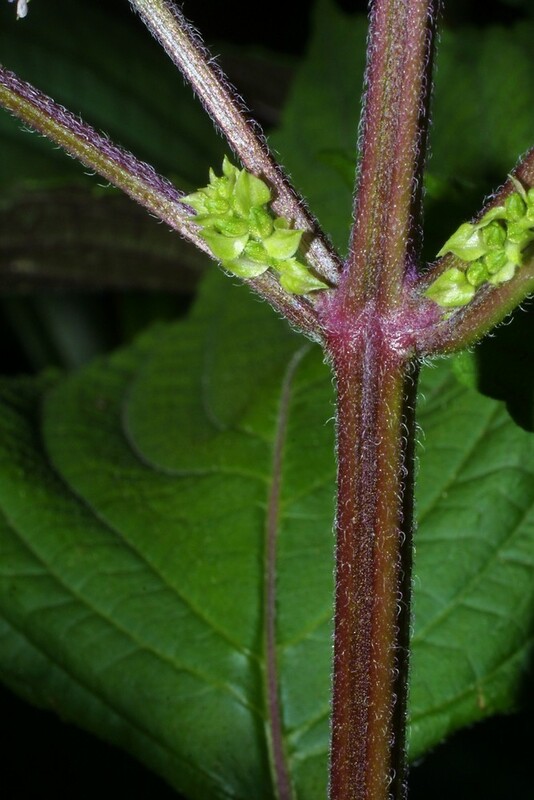 Ocimum frutescens L.; Perilla ocymoides L.; 1b. 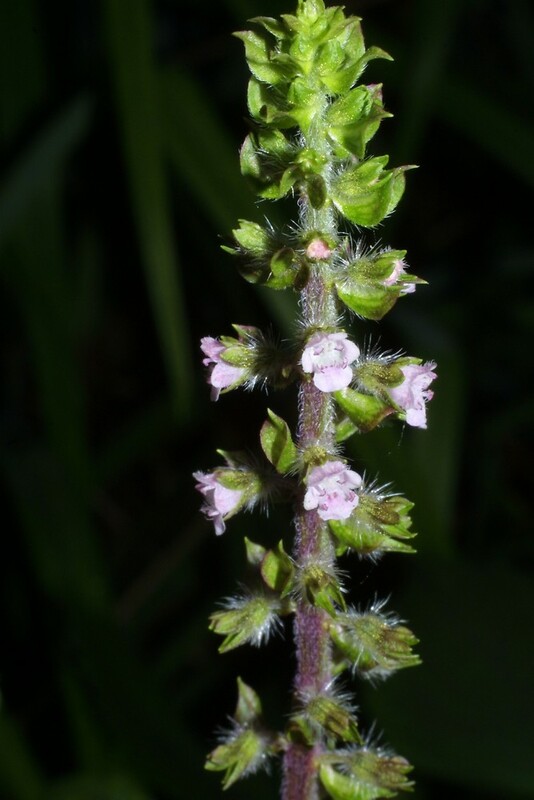 Ocimum crispum Thunb. 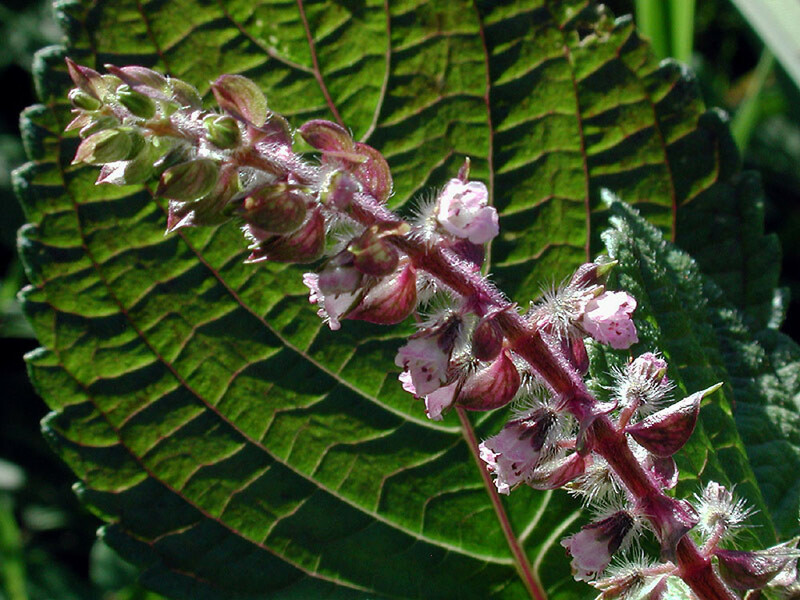 ; Perilla ocymoides L. var. crispa Benth. • CT, MA. Roadsides, waste areas, gardens.